4 Training Techniques To Reduce Your Muscle Imbalances! Muscular imbalances are an issue that some people deal with in their training. Here are 4 techniques to help reduce your imbalances. Try them today. Start focusing on adding more single-side exercises to your workout. To build size, increase the total volume on that smaller side. Make sure you take time to assess what caused the issue. Have you ever looked in the mirror to notice one arm appears bigger than the other? Or perhaps you&apos;re finding that when you&apos;re doing your concentration curls, you can lift 30 pounds in your left hand but only 25 pounds in your right. What&apos;s going on with this situation? Muscular imbalances are in fact an issue that some people deal with as they progress through their training. 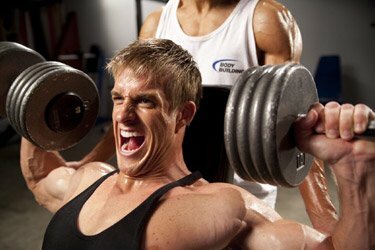 In certain situations this can be due to participation in a particular sport where one side of the body is favored over the other and in other cases, it could be an occupational issue where you are performing one type of action over and over again and because of this you find yourself getting stronger on one side than the other. Usually the strength difference between sides will be what is most noticeable, however in other cases it can be actual size differences that are seen. People Deal With As They Progress Through Their Training. Before coming to the final conclusion that you are actually larger on one side than the other though, be sure you do ask an outsider&apos;s opinion. It can be quite astounding what we think we see in the mirror and what others notice, so just be sure that the difference is what you believe it to be. If in fact you are stronger on one side than the other or you&apos;re having trouble getting into a fitted shirt properly due to the size difference, there are a few things you should do with your training to remedy the situation. Phase 3 (Frequency), Day 4 - Weak Points Training! In this twelfth and final episode, watch and learn as Scivation&apos;s Marc Lobiner and Derek Charlesbois explain Tri-Phase Frequency Training (Phase #3), continuing this week with the final full workout of this series, Weak Point Training on Day Four! Watch More From This Series Here. The first thing you need to start focusing on is adding more single-side exercises to your workout program. This will allow you to effectively isolate one side of the body and control the total training stimulus. Another added benefit of single-side exercises is that they will target the core muscles to a larger extent since the abs will be called into action to maintain balance. You will have to watch however that you do not lose proper form when performing these exercises since that is a very common issue that tends to occur. Exercises To Your Workout Program. If you notice that your form is going, stop immediately and either rest or if you can&apos;t maintain proper form after a rest use a lighter weight next time. If the issue you&apos;re dealing with is a size difference, you will approach your training slightly different than if it was a strength difference. For size, the thing you should focus on the most is increasing total volume on that smaller side. You obviously don&apos;t want to overload it with so much volume that it cannot recover properly since that will not be beneficial either, but you do need to have more volume than the other side. Have You Noticed That You Have A Size Imbalance Between Sides? Usually this will be best accomplished by more sets rather than taking the rep range higher since you do still want to maintain a heavier weight load. The best approach in this instance is to perform 1-2 sets of your usual lift (say bench press for example) for maintenance purposes. This will keep the other arm where it&apos;s at while you focus in on the smaller side. Once those few sets are complete, then you will want to move on to do a couple sets of the isolation exercise for that muscle group. 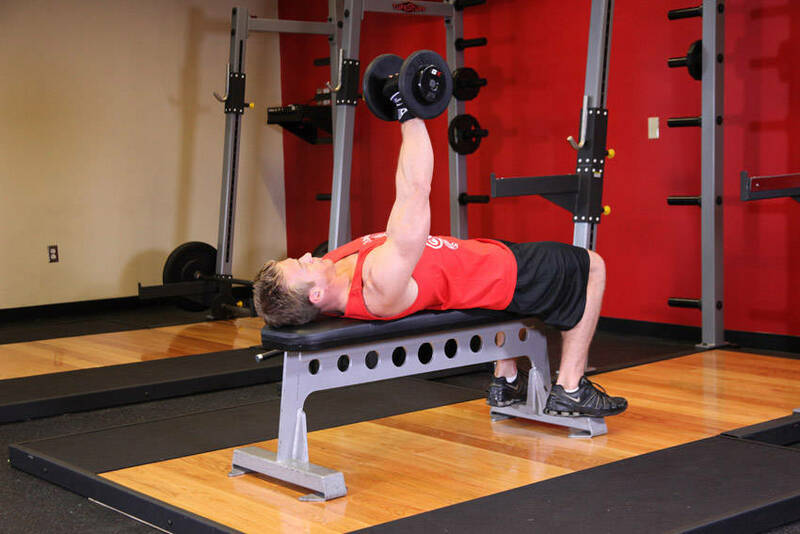 In this case, you would likely do one arm dumbbell bench presses. 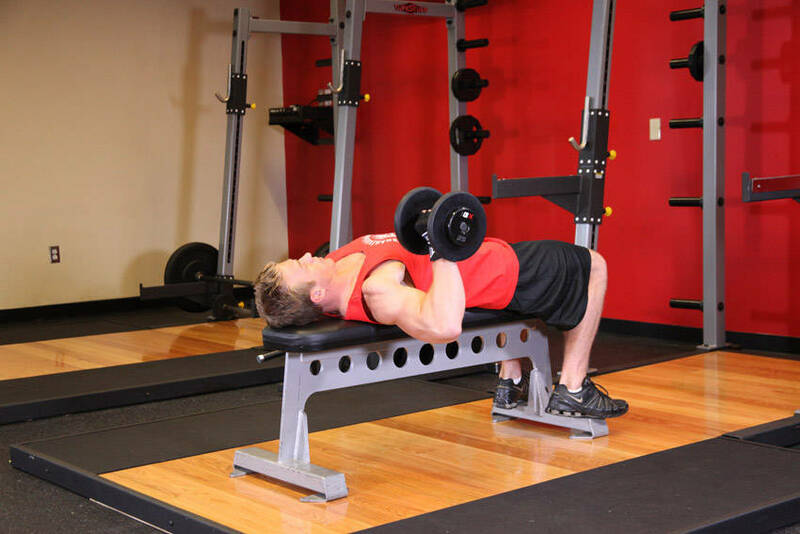 Click Here For A Video Demonstration Of One Arm Dumbbell Bench Press. If, on the other hand, the difference you&apos;re dealing with is strength and not size, then you&apos;re going to focus more on the weight side of things. As long as you&apos;re not doing too much volume and are not eating at a calorie surplus (which stimulates growth) you should see very limited actual size increases from your training. So that said, what your objective is to solve this problem is to lift with one arm at maintenance and then the other using a progressive approach. The Other Using A Progressive Approach. Usually your best bet is to just focus on single-side training entirely because you don&apos;t want to pre-fatigue the weaker side doing them both together on a maintenance weight set. You would perform the exercise with the stronger arm at the current weight you are able to lift. This would always stay constant right up until you have matched it with your weaker side. This way it will not lose strength, but will stay at a standstill. [ Click here to learn more. ] Stubborn Muscle Training! You strive to create a symmetrical, proportional physique. This book will lay out step-by-step training routines specifically created to bring up lagging muscles&apos; development. Then you will want to slowly work on increasing the weight with your weaker side until they are about even. This may take some time, but if you can clearly see that you are making small increments in the weight lifted, you know you are right on track to getting results. Finally, you will want to make sure you&apos;re taking time to assess what caused the issue in the first place. If you don&apos;t, it&apos;s highly likely that it may occur again in the future at some point. The Issue In The First Place. In some cases you may not be able to change the reason (such as when it&apos;s an occupational activity), but by understanding that it is causing a problem, you can better match your training to overcome it. This doesn&apos;t necessarily mean you have to always be performing single-side exercises only; it just means that you may need to perform more exercises on a regular basis for that weaker side. Focus On A Lagging Body Part! What is the best workout scheme to focus on a lagging body part? Sometimes we notice that one of our muscle groups are lagging. Usually strength differences are fairly easy to moderate though so you can assess progress over time and make adjustments as needed. Most people worry about muscular imbalances from an aesthetic point of view, but it&apos;s also important to keep in mind how it&apos;s going to impact you on a larger scale. If you are really seeing strength differences in particular, you could be setting yourself up for greater risk of injuries down the road, so it is something you want to make sure you are taking steps to overcome. Shannon Clark is a freelance health and fitness writer located in Edmonton, Alberta, Canada.